Registration for the congress is possible exclusively through the online registration system. It will not be possible to register on the day of the congress. The congress registration will close on the 6th November 2016. The official language for the congress workshops, plenary and parallel sessions is English. Simultaneous translation to Italian is foreseen only in plenary. The pre-congress courses will run simultaneously on 16th November 2016 from 8:30 to 16:30. 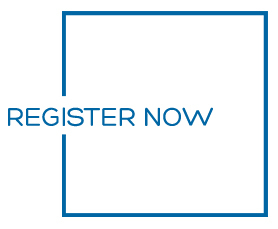 Please notice that pre-conference courses can only be booked on the on-line congress registration page in connection with the registration for the congress. Participation in the pre-congress courses will be limited to a minimum of 30 and a maximum of 80 participants, places will be allocated on a first come first-served basis. By credit card: credit card payment can only be made through the online congress registration page. By bank transfer: please remember to specify the name of the Congress and all participants’ names on the bank transfer document. Important: All bank charges are the responsibility of the participant and should be paid in addition to the registration fees. If payment is made by a company or for more than one person, please make sure all names are indicated. In order to benefit from the reduced registration fee, registration and the relevant payment be completed by July 15th 2016. Thereafter the registration fees will increase as published. Only digital versions of invoices will be sent to participants upon completion of the online registration. The invoice will be issued using the contact details provided on the registration form. By registering for the 3rd Congress on Paediatric Palliative Care: a Global Gathering all participants acknowledge and authorize the Congress Organizers the right to photograph and videotape congress delegates and to use such photographs and videos in any internal and external communication referring to the Congress, such as on its website, or other publications.